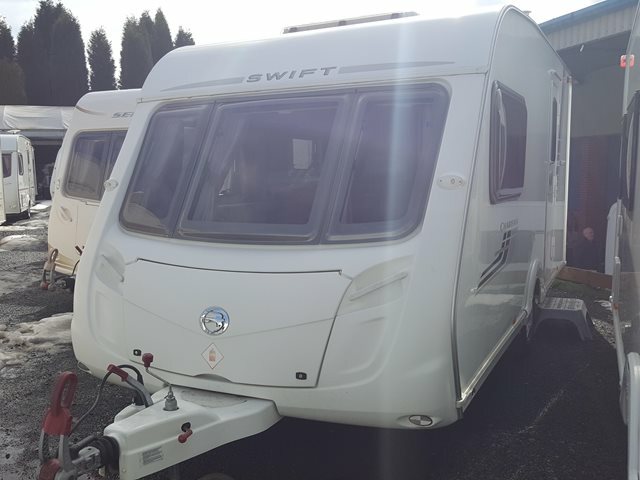 A fantastic two berth caravan from Swift, part of their popular Charisma range. It has everything a couple needs with a well equipped kitchen, a large end washroom with separate walk in shower cubicle and front seating area that turns into a double bed. The 230 includes full oven and grill, microwave, large shower, blown air heating and plenty of storage. For any further information please contact us on 01384 413336 and ask for a member of the sales team.